Artwork Panel: 32.8cm x 138.2cm ≈ 13" x 54½"
Silk/Brocade: 42cm x 209.6cm ≈ 16½" x 82½"
While this is a newly created wall scroll, the poem on this scroll was written almost 1200 years ago during the Tang dynasty. It depicts traveling up a place known as Cold Mountain, where some hearty people have built their homes. The traveler is overwhelmed by the beauty of the turning leaves of the maple forest that surrounds him just as night overtakes the day, and darkness prevails. His heart implores him to stop, and take in all of the beauty around him. Among white clouds peoples homes reside. 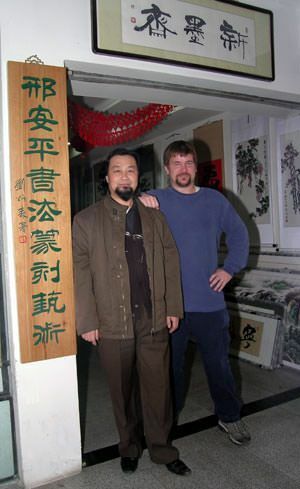 The poet's name is "Du Mu" in Chinese characters that's written, . 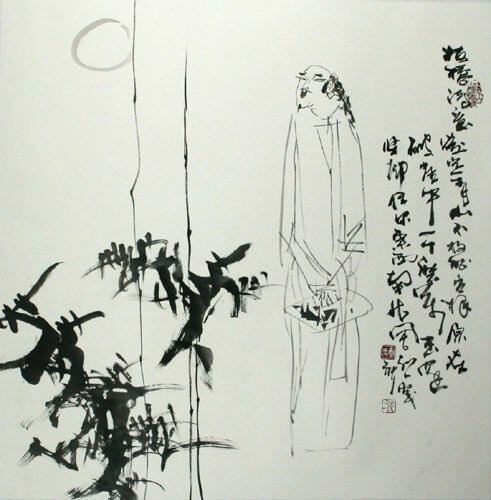 He lived from 803-852 AD and was a leading Chinese poet during the later part of the Tang dynasty. 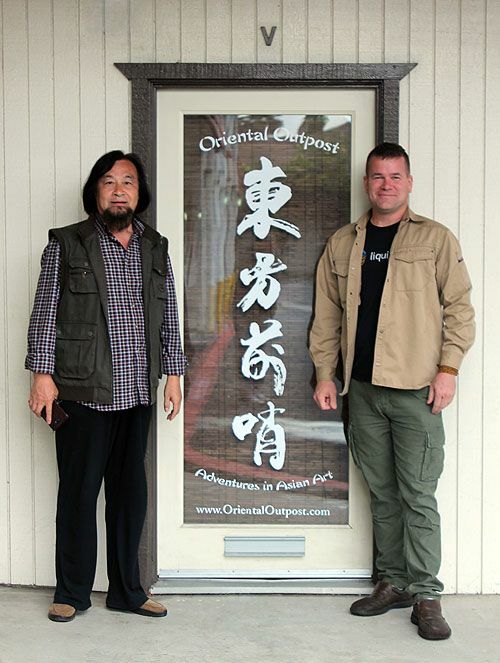 He was born in Chang'an, a city of central China and former capital of the ancient Chinese empire in 221-206 BC. In present day China, his birthplace is currently known as Xi'an, the home of the Terracotta Soldiers. This piece is painted with special Chinese ink on xuan paper (rice paper) mounted to a traditional silk-brocade wall scroll. 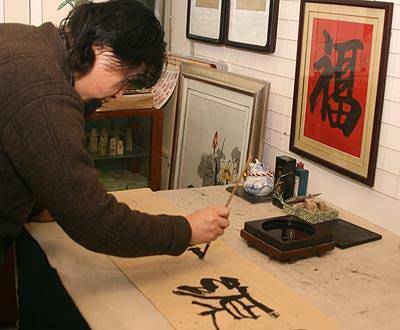 This calligraphy was done by Master Calligrapher Xing An-Ping of Beijing. This particular scroll is offered at a special low price. The low price has to do with the fact that we had the calligrapher do a series of these, because it is a very popular title. 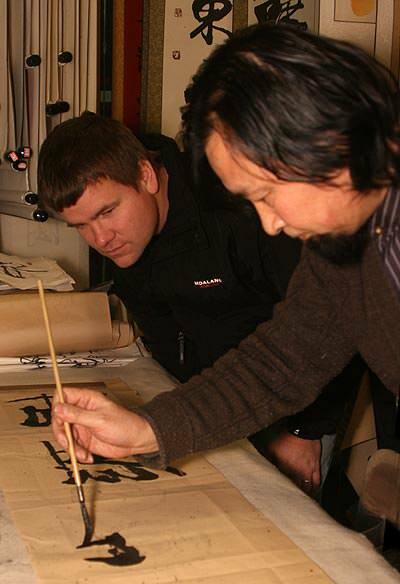 If ordered as a custom piece from this Master Calligrapher, it would be about $20 more.